CARFAX 1-Owner, ONLY 25,748 Miles! 2WD LT trim. EPA 27 MPG Hwy/20 MPG City! Back-Up Camera, Aluminum Wheels, WiFi Hotspot, Onboard Communications System, AUDIO SYSTEM, CHEVROLET MYLINK, 8" DI... ENGINE, 2.5L I4, DI, DOHC, VVT READ MORE! Back-Up Camera, Onboard Communications System, Aluminum Wheels, WiFi Hotspot. Keyless Entry, Steering Wheel Controls, Electronic Stability Control, Bucket Seats, 4-Wheel ABS. TRANSMISSION, 6-SPEED AUTOMATIC, HMD, 6L50 (STD), ENGINE, 2.5L I4, DI, DOHC, VVT (200 hp [149.0 kW] @ 6300 rpm, 191 lb-ft of torque [259 N-m] @ 4400 rpm) (STD), AUDIO SYSTEM, CHEVROLET MYLINK, 8" DIAGONAL COLOR TOUCH WITH AM/FM/SIRIUSXM USB ports, auxiliary jack, Bluetooth streaming audio for music and most phones, hands-free smartphone integration, Pandora Internet radio, voice-activated technology for radio and phone (STD). 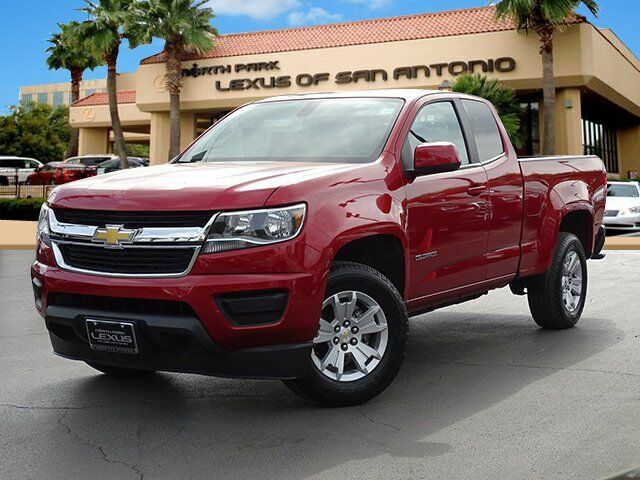 Chevrolet 2WD LT with Red Rock Metallic exterior and Jet Black interior features a 4 Cylinder Engine with 200 HP at 6300 RPM*. Tire Pressure Monitoring System, 4-Wheel Disc Brakes Great Gas Mileage: 27 MPG Hwy. "Chevy's engineers went to great lengths to make the handsomely styled interior noticeably quieter than the competition's." -Edmunds.com.